Thinking back on the local weather this summer it seemed we had a pretty wet Spring followed by a fairly dry start to Summer. At times our lawn was showing signs of the lack of water and was not growing and turning a shade of brown. The last few days we have gotten a few rainfalls including a fairly heavy rain storm last night. The grass seems to be enjoying this and is showing signs of growth. 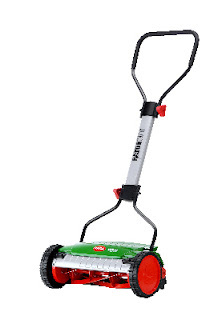 And for those Dads with lawns to mow, you might consider the RazorCut Push Mower - a quality 38 cm reel lawn mower from Brill. Be sure to also check out other tools and home improvement products we have featured.